Pure Elegance Weddings & Events is headed up by Donna Brown who, not only has over 20 years experience in planning all types of events, but is also a qualified International Event & Wedding Planning Professional. 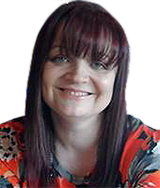 Donna has first class organisational skills and is excellent at multi-tasking and problem-solving. She has excellent supplier relationships and takes extreme pride in each event from the planning right through to the execution to ensure that the clients remit is fully delivered and on budget. She is also a dedicated professional and there is nothing that is too much trouble. It is this ethos which is carried through to all members of the team. Donna covers all locations throughout Lancashire, Greater Manchester and Merseyside. If you are planning a wedding or an event, we will ensure that it remains very much your celebration, carried out to your budget, your way.